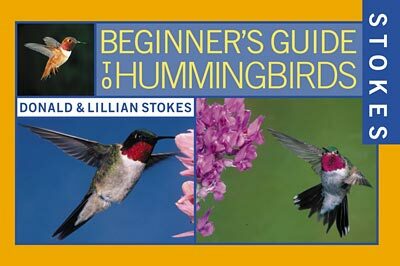 The Stokes Beginner's Guide to Hummingbirds is intended for beginning nature lovers of all ages. This work, by birding experts Donald and Lillian Stokes, offers a wealth of identification and behavior information in a portable pocket-size format. Illustrated throughout with full-color photographs and range maps, each guide is organized according to the Stokes' easy-to-use and popular color-tab system. Complete with a great how-to section on attracting hummingbirds, in Stokes Beginner's Guide to Hummingbirds you'll find everything you need to know to attract these tiny "flying jewels" to your backyard sanctuary. Details: 144 pages, paperback, 4.5" x 7"